To edit a lesson series in Scholaric, is like editing a single lesson, with a few differences. 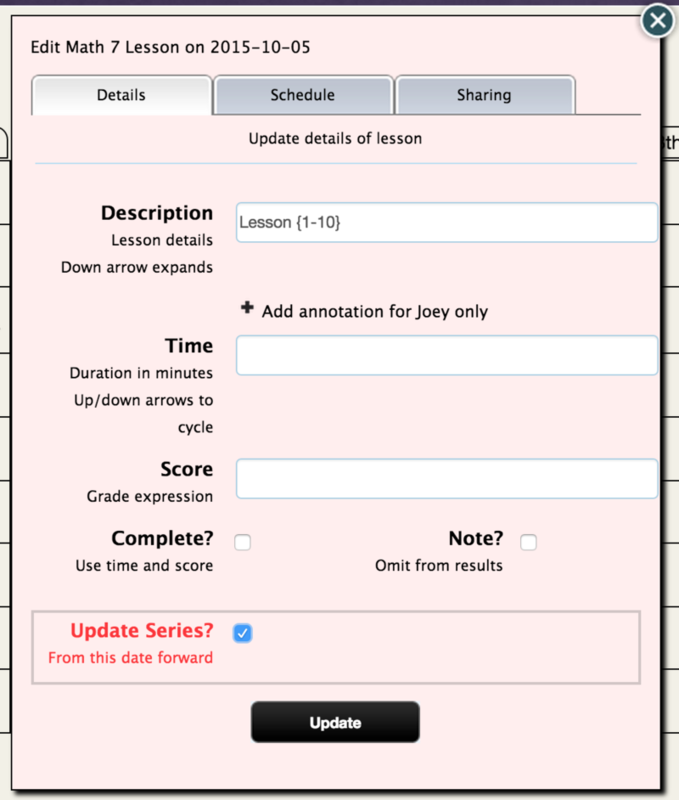 When the dialog is submitted, Scholaric will compare all fields with the corresponding values of the selected lesson, to see what you have changed, and apply those changes to the remaining series. Using this technique, you can modify one or more fields in a lesson series, change the sequence (which may create or delete lessons) or reschedule a lesson series.